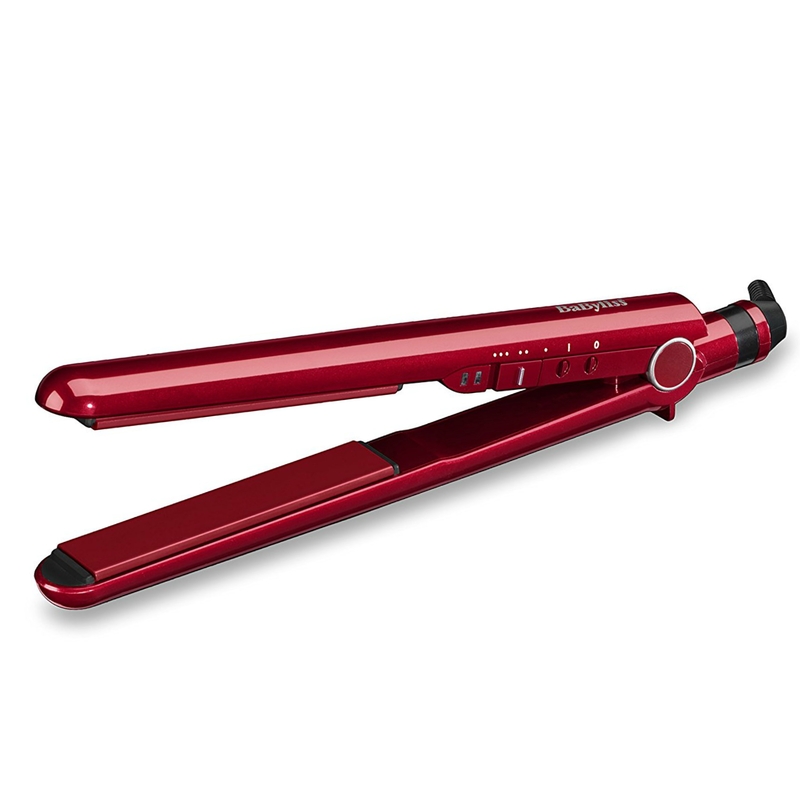 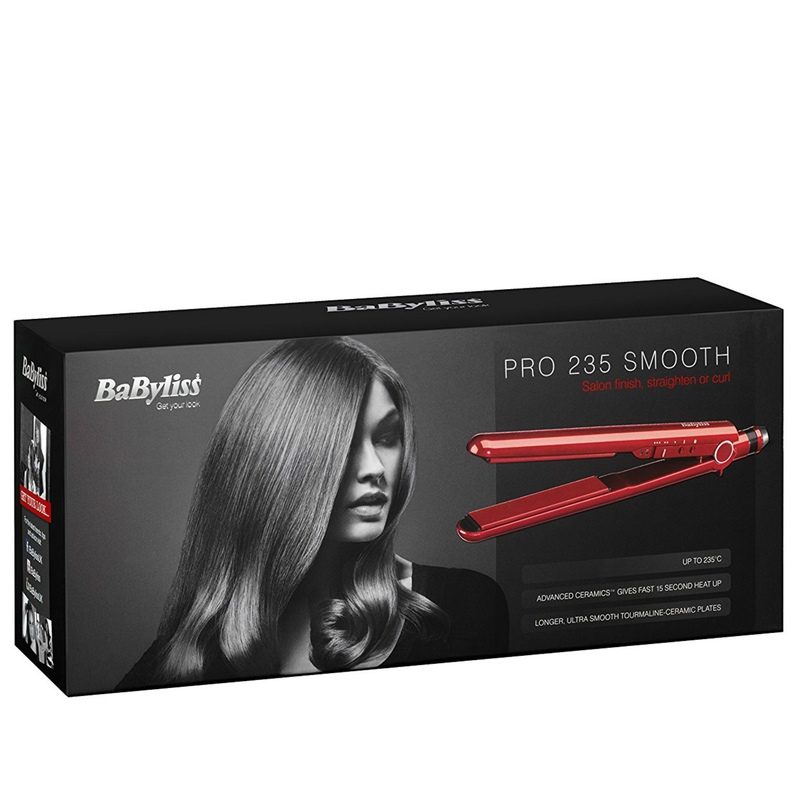 The BaByliss Pro 235 Smooth straightener reaches 235C salon temperature and is ready to use in just 15 seconds. 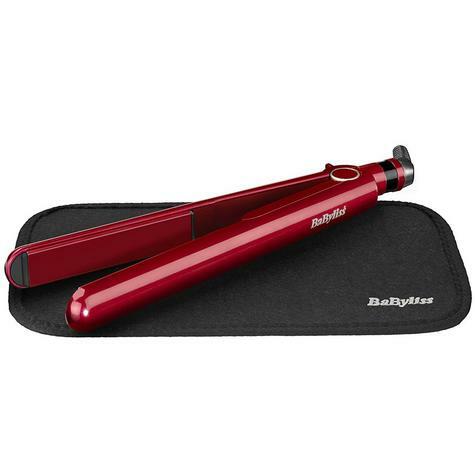 With the Advanced Ceramics heating system, this BaByliss straightener has fast heat up and maintains constant high heat during use. The 25% longer tourmaline-ceramic plates allow you to manage thicker sections of hair per stroke, and effortlessly glide through the hair to give you an ultimate smooth, high shine finish. 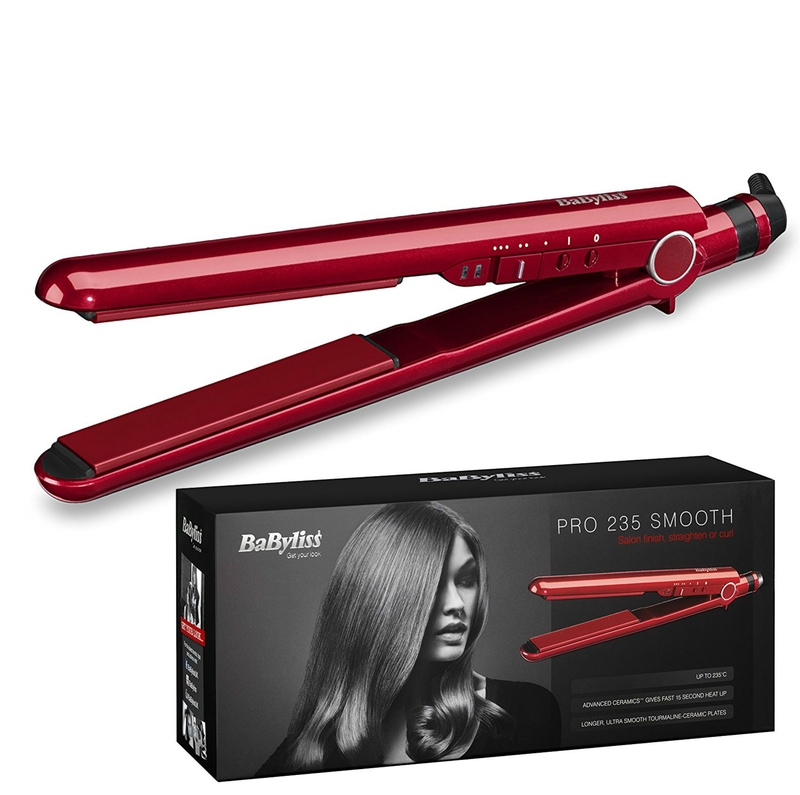 FEATURES 235C salon temperature performance 3 temperature settings: 180C, 200C and 235C Ready to use 15 seconds 25% longer tourmaline-ceramic plates Advanced Ceramics for ultra fast heat up and heat recovery Floating plates for even pressure On/off button with heat ready indicator Multi-voltage for worldwide use 3m salon swivel cord Auto shut off Heat protection mat 5 year guarantee.